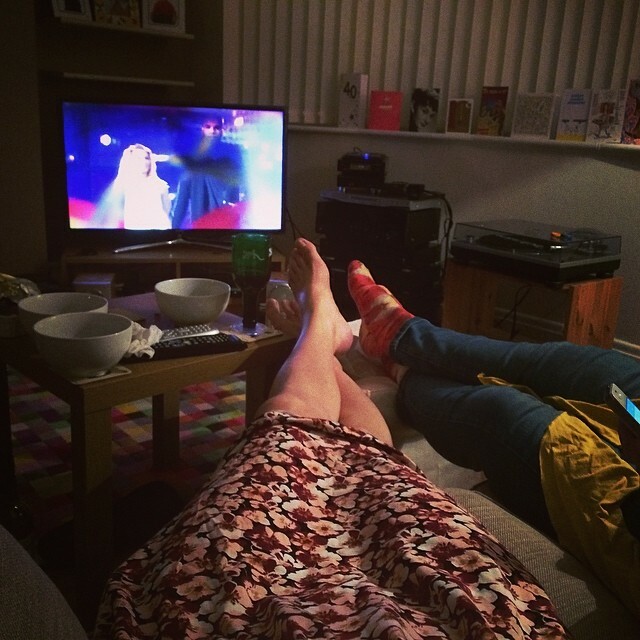 Ah, that time of year again – the Eurovision Song Contest 2014. I’ll freely admit that there’s been a lot of personal stuff go down in the past month or so (plus ça change) which has meant I haven’t really had much time to keep an eye on what’s been going on. That plus ESCtoday being a shadow of its former self combined to leave me woefully underprepared for this year’s competition. I’d kept track of what Molly was doing as the UK entry, that was about it. As it was, this year I didn’t have a party – I had a quiet get-together with two friends; we sat and drank wine until almost sunrise. At least there wasn’t much to tidy up! 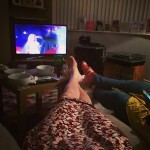 I understand there was a ‘do’ elsewhere in the village so I think I can safely say I’ve passed on my Eurovision party baton. Catching up, I was pleasantly surprised to find the BBC were running a ‘pop-up DAB station’ off the back of Radio 2 – imaginatively titled Radio 2 Eurovision – which was just wall-to-wall programmes and DJs from midday each day. It kept me company from when it went live on Thursday lunchtime to when it shut down on Sunday night with a cracking range of stuff. In fact, I wouldn’t have had the chance to catch up on Semi 1 had Ana Matronic not commentated on it in a radio programme on Thursday afternoon. Anyway, the contest: I called it! Whoop! I’m proud to say, I totally called Conchita Wurst as the winner, and I wish I’d actually placed a bet on it two weeks ago because I’d have won. It was a really high standard this year, not many flubs but I was surprised “Cake To Bake” (the Latvian entry, sung by Aarzemnieki) was such a flop in Semi 1. For me, Iceland’s entry “No Prejudice” by a colourful band called Pollapönk was the tune stuck in my head come Monday morning (although it seems to be earworming into “Angel Is A Centerfold” by Aerosmith – I wonder if that was intentional?). I enjoyed Azerbeijan’s entry too – Dilara Kazimova’s song “Start A Fire”. I’m not quite sure the staging needed the trapeze artist however, as the camera rarely showed it. Surprise flub of the final was the French entry, a bouncy ditty by Twin Twin called “Moustache” which had it been released and played in hot Mediterranean resorts last Summer would probably have irritatingly been positioned at the top of the charts for weeks. Pas de chance, mes amis! As usual the UK entry was a bit drab: Molly Smitten-Downes’ song “Children Of The Universe” at least scored some, but not as well as everyone hoped. I wasn’t really impressed from the get-go about it but others seemed to like the tune. Maybe there’s chance for me to write something next year after all! Right, let’s just get back to Conchita for a second: there’s been a lot of online talk, banter, discussion (and sadly in some cases abuse) about whether calling her by female pronouns is correct. Regardless of where she is on the transgender spectrum – let’s not forget genderqueer sits under that umbrella somewhere – she’s pretty clear that when performing as Conchita, it’s “her”. It’s not too much to ask when someone asks you to use a particular pronoun, you use that sucker! And yes, I’m painfully aware of the whole drag vs transgender thing before anyone starts and, lest we forget: trans woman Dana International won in 1998 for Israel. Take me to Vienna with you please.